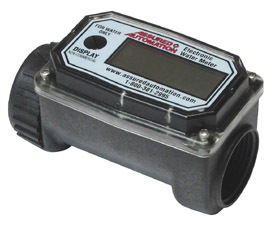 Several Assured Automation water meters are popular among pool owners who monitor their water usage for pool leakages. Two favored products for their durability and low cost are the Economy Series digital water meter and the analog WM-PC water meter. The following illustrates what many Floridian families with year-round pools face. A family of four in Florida enjoys their heated pool all year round, but their water bill has been growing incrementally every month for the past year. They want to monitor the amount of water required to keep their pool full and make sure there are no pool leaks. 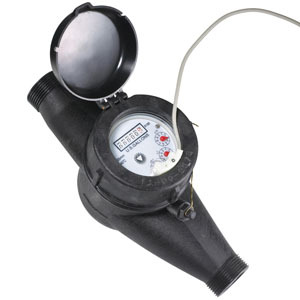 The homeowner purchased an Economy water meter to monitor the amount of water added to their pool each week. They are able to quickly insert the meter between their outdoor faucet and hose using the garden hose adapters. They knew from their neighbors’ experience that they needed a sturdy meter that could withstand the strain of the hose and the outdoor activity of their two sons. Assured Automation’s Economy Series digital water meter provided both the durability, accuracy and economy they were looking for. One outdoor faucet is dedicated to refilling the pool. Since the Economy digital meter shows two totals on the digital display, the homeowner now knows how much water is used to refill the pool throughout the course of the season, as well as how much is used monthly by resetting a resettable total every month. Sure enough, the pool required more water replenishment than would be expected from splashes and evaporation. The homeowner was not eager to replace the vinyl liner on their pool, but given the evidence of leakage, they now know their water bills will continue to grow if they don’t. Water conservation in Florida has become especially critical. In areas where groundwater is depleted and the underground aquifers dry up, Florida’s underlying limestone loses support, increasing the likelihood of a sinkhole. As Florida’s groundwater is pumped out to support Florida’s rapid population growth, the limestone bedrock destabilizes, accounting for the growing number of sinkholes. A peak season for sinkholes occurs in the dry months of May and June, and the year’s lowest groundwater levels. This entry was posted in Flow Meters, Latest News and tagged Economy Series digital water meter, Flow Meters, WM-PC Series mechanical water meter. Bookmark the permalink.